Recent climate change projections suggest that negative impacts on flood control and water supply functions and on existing and future ecosystem restoration projects in south Florida are possible. An analysis of historical rainfall and temperature data of the Florida peninsula indicates that there were no discernible trends in both the long-term record and during the more recent period (1950–2007). A comparison of General Circulation Model (GCM) results for the 20th century with the historical data shows that many of the GCMs do not capture the statistical characteristics of regional rainfall and temperature regimes in south Florida. Investigation of historical sea level data at Key West finds evidence for an increase in the occurrence and variance of maximum sea level events for the period 1961–2008 in relation to 1913–1960, along with a shift of energy from shorter to longer timescales. In order to understand the vulnerability of the water management system in south Florida in response to changing precipitation and evapotranspiration forcing, a sensitivity analysis using a regional-scale hydrologic and water management model is conducted. 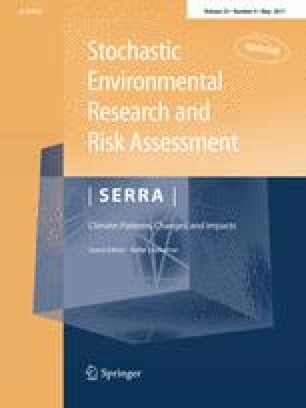 Model results suggest that projected climate change has potential to reduce the effectiveness of water supply and flood control operations for all water sectors. These findings emphasize that questions on the potential impacts of climate change need to be investigated with particular attention paid to the uncertainties of such projections. We acknowledge the modeling groups, the Program for Climate Model Diagnosis and Intercomparison (PCMDI) and the WCRP’s Working Group on Coupled Modelling (WGCM) for their roles in making available the WCRP CMIP3 multi-model dataset. Support of this dataset is provided by the Office of Science, U.S. Department of Energy. Assistance provided by Seth McGinnis at the National Center for Atmospheric Research (NCAR) in obtaining probabilistic results of the multi-model ensembles of GCMs is also acknowledged. Authors are also grateful to the contributions from Paul Trimble and Winnie Said at the South Florida Water Management District.